Long way home, getting lost in the crowd. Come back to this route and take your heart to your higher self. 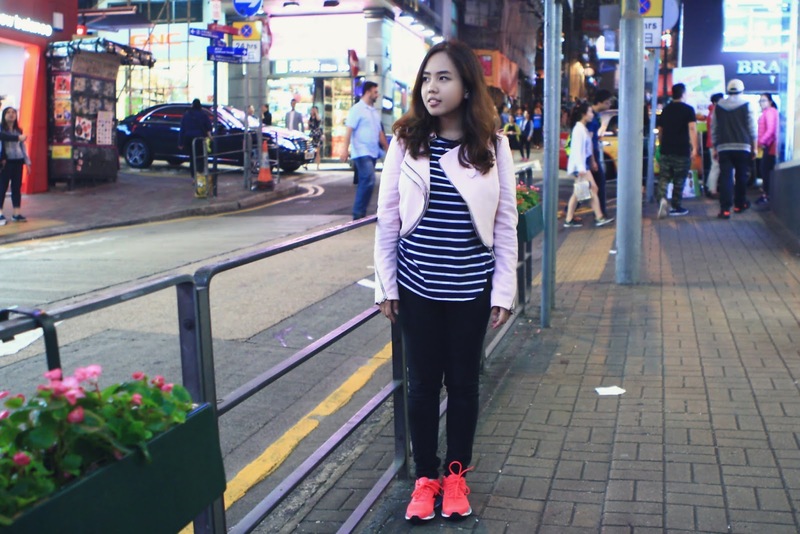 Some snapshots of the night in Central area after adventuring to Victoria Peak. 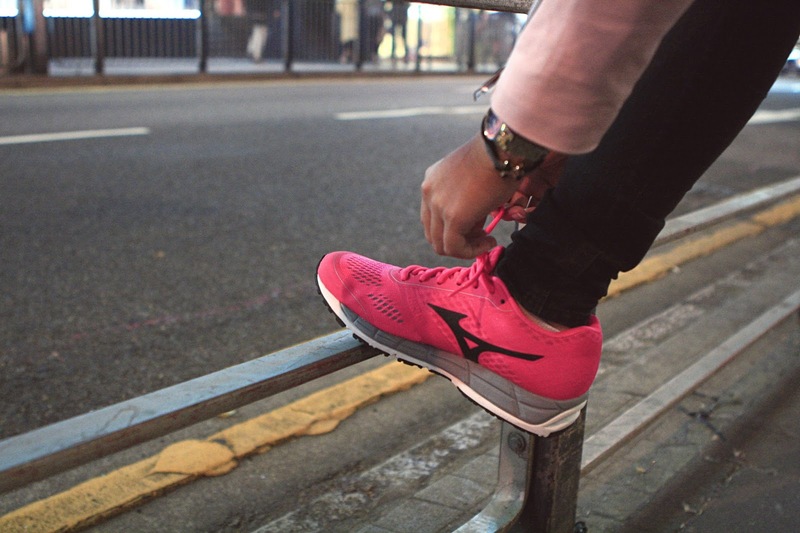 I guess it was such a nice choice to bring my Mizuno shoes for travelling as it is totally comfortable for a long walk and outdoor activity. Besides that, it is stylish enough for a stroll in the malls and for shopping. Guess the sneakers is such a great investment! I really love the sneakers and your street style pictures look really good. I love how you write "lost in the crowd" is sooo sweet of you!